Japanese Candlestick Whodunit: Bearish Engulfing or Dark Cloud Cover? Calendar year 2017 was great for stocks, with the S&P 500 gaining 19.4% on a price-only basis and 21.8% including dividend reinvestment, all without experiencing more than a 2.5% drawdown all year, the ideal and almost unprecedented combination of 20% equity returns with low single-digit bond-like volatility. Three stocks in the index achieved triple-digit annual returns: utility NRG Energy (NYSE: NRG) (132.3%), orthodontic manufacturer Align Technology (NSDQ: ALGN) (131.1%), and cystic fibrosis biotech Vertex Pharmaceuticals (NSDQ: VRTX) (103.4%). Analysts were expecting 2018 to start off with at least some modest profit-taking. Holding stock winners until January is a well-worn strategy to defer taxes for 12 months. Instead of profit-taking, more profit-making occurred. Stocks jumped higher on January 2nd, the first trading day of 2018, and never looked back. Through the first six trading days of 2018, stocks were up 2.9% for the best start since 1987 and after nine trading days, stocks were up 4.2% for the best start since 2003. Historians, take note: stocks continued to climb in 1987 for eight more months by double-digits whereas they quickly turned tail in 2003 and dropped into a March bottom. On Tuesday, January 16th, the tenth trading day of the year and the first after the Martin Luther King market holiday, something strange happened after a normal start. Stocks, as was their 2018 custom, shot out of the gate at the market open, gapping up from the prior Friday’s close on stellar earnings from Citigroup (NYSE: C) and UnitedHealth Group (NYSE: UNH). Seven days after Wall Street pulled out the “Dow 25,000 hats,” new hats need to be ordered as the Dow Jones Industrial Average surpassed 26,000. A peak was reached at 9:55 AM Eastern Time and then stocks began to sell off and actually turned negative around 2:00 PM Eastern Time. The Dow Jones Industrials, which had been up as much as 282 points, closed down 10 points. The S&P 500, which had been up as much as 21 points, closed down 9 points. What happened to cause such a dramatic intra-day reversal? Did Icarus’s wax wings finally melt in the sun of overvaluation or was it increasing fear that the Democrats and Republicans in Congress would fail to reach a spending agreement by Friday January 19th and cause a government shutdown? For stock-market technicians, the answer doesn’t matter because causation cannot be proved. The real issue is not why, but what? And once “the what” has been identified precisely, the next question is how has the market historically behaved after similar incidents? January 16th Higher or Lower? Based on these numbers, it is clear that a reversal has taken place. The second candlestick has both a higher intraday high and open, as well as a lower intraday low and close. The only critical thing missing is a second-day close below the first-day open. Oh well, Tuesday’s reversal does NOT qualify as bearish engulfing. 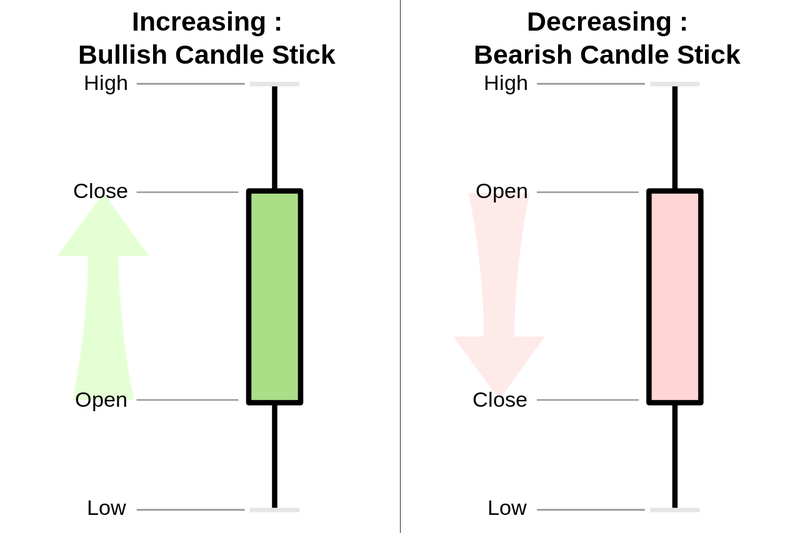 A dark cloud cover requires that the second candlestick open above the previous close and close below the midpoint of the first candlestick’s body. The midpoint of Friday’s body was 2,778.21 because that figure is the average of the 2,770.18 open and the 2,786.24 close. Since Tuesday’s candlestick did open above Friday’s close and close at 2,776.42, which is below Friday’s midpoint of 2,778.21, Tuesday’s reversal qualifies as a dark cloud cover. Because the criteria for a dark cloud cover is less strict than a bearish engulfing, it has a less bearish prognosis and requires additional bearish follow-through to be confirmed. As of this writing on Wednesday, stocks are up big so bearish confirmation has not occurred yet. Okay, now that we know that Tuesday’s reversal was a dark cloud cover, the question remains . . . so what? 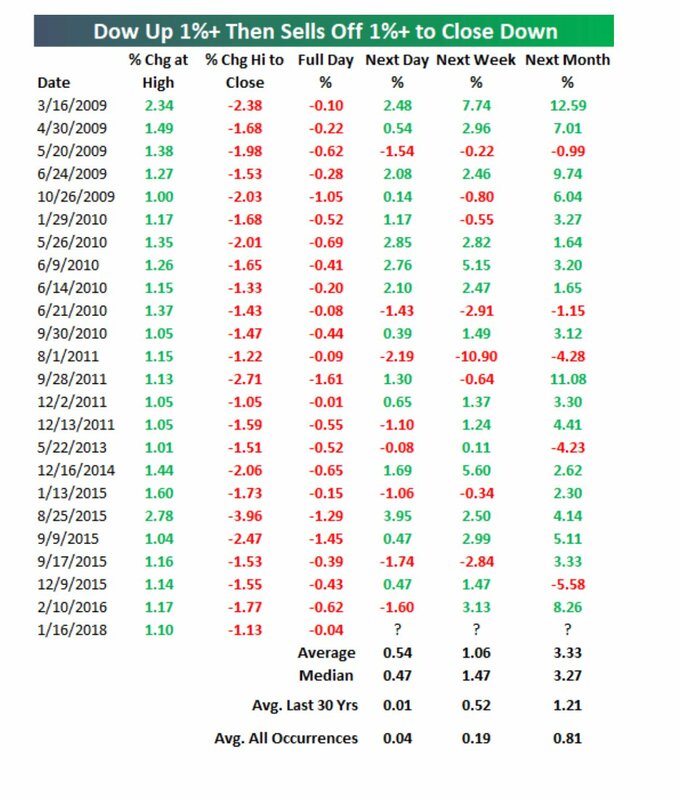 There are only six prior instances, which may not be statistically significant, but looking out four trading days, forward returns are poor and uniformly negative on average. In each case, at least one close over the next three days is negative and four of the six instances experience a decline of -1.02% or more. Only five prior instances, but four of the five instances close lower at least three times in the next four days with one instance continuing to rise higher with no let-up. With the S&P 500 up bid as of this writing on Wednesday, the current situation may mirror the one bullish outlier in this study, but only time will tell for sure. Although analyzing past data provides an edge that increases the probability of future performance, nobody knows the future with certainty because it hasn’t occurred yet and is based on events that haven’t occurred yet. All we can say is that an analysis of prior stock-market situations similar to the current one argue for caution through next Monday January 22nd.